I took this beautiful flower last spring season at Riverside Park here in our place. 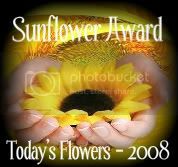 To view more flowers around the world, click the badge and participate if you want. Are those Bleeding Hearts? I don't think I've ever seen real ones before. I guessed bleeding hearts, too, but I am not sure! Beautiful and pink, with green leaves, and that is all that is important! Bleeding hearts are unique and pretty! enjoy your week! 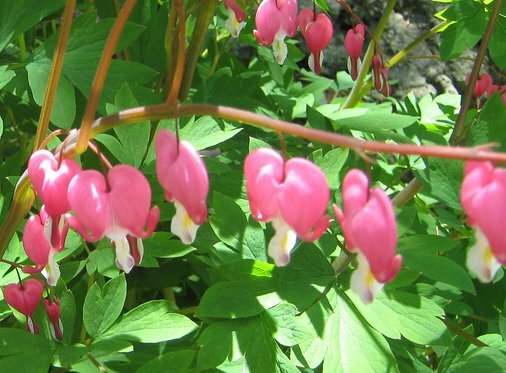 Bleeding hearts are beautiful flowers! We have them in Norway - but late in summer. Nice shots! 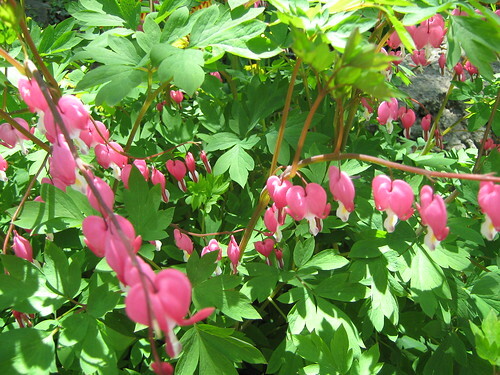 We had bleeding hearts in my mother and father's garden when I was growing up. I loved them and I love yours. Great photos. Yes, bleeding heart. It comes back every year, and blooms in shade, two wonderful qualities in addition to the graceful blooms and the really handsome foliage. There's an all-white one, too. Great photo! Wow! Pretty flowers! I haven't seen those flowers yet! oh I love flowers too! Anyway, I got a tag for you mommy! ai saba ka diha oi harharhar. lipay tawon akong paris naay comment. lingaw sya sa imong uban sites na pink daw hehehe. Bleeding hearts is what they called that right? Lovely Norms. Check mine. Have a blessed Sunday.